Do you use Google AdSense to monetize your blog or website? One of my blog’s largest revenue streams is running contextual ads from Google AdSense. Whenever we meet with publishers, we hear one question over and over again: “How can I use AdSense more effectively to increase my earnings?” We’ve written up our top 20 tips here and encourage you to experiment with them and see how they impact your earnings. I’ve learned a lot during the last two years that I’ve been an AdSense publisher and thought I’d share some of the strategies that I’ve leveraged to increase the revenue that my Blog earns from AdSense on a monthly basis. Let’s Check out these tips below. 1. Don’t Feel Shy guys – If you are seriously willing to monetize your website with AdSense, make sure that you place advertisements in prominent locations where visitors will notice the ads. 2. The best performing ad units for AdSense are 160×600, 336×280 and 300×250. For text only ads, you should go with the 336×380 format but in all other situations, 300×250 may be a better format since it is most popular among advertisers and also supports rich media. 160×600 can easily fit in the sidebar of your blog. 3. Web visitors have a very short attention span and majority of them may simply leave after a quick glance. Their eyes follow a F Pattern so you can get good results if the Google ads are placed in the areas colored red on the heat map. Sidebars and leaderboards at the top are often ignored. 4. Depending upon the layout of your website, you should consider placing the first unit somewhere in the middle of the page and above the fold. 5. Even kids would know that AdSense works best if there are no borders and that the background color of the ads matches with the background of the page. That may not always be true and sometimes colored backgrounds (like light yellow or very light grey) can convert better – look at the top AdWords unit on the Google search page. 6. If you have a website with a dark theme (like a black background), experiment using a contrast color scheme for Google ads. 7. While it is a good idea to use section targeting around the main content, you should skip adding the section targeting tags for the comment section in your blog because the comments may not exactly convey what the page is all about. The aim is to increase the relevance of Google Ads. 8. Site visitors generally look for a search button at the top left region. Use the word “search” in the submit button else some visitors may not notice them. AdSense doesn’t allow publishers to pre-populate search boxes with keywords. Always use a second search box at the bottom of your pages and if possible, host site search on a separate sub-domain (e.g., search.example.blogspot.com/) as regular readers can easily remember that address. 9. I recommend using only text ads for the first Google Ad unit but place another 300×250 unit in the sidebar (or somewhere below the fold) – these generally serve CPM based ads and will therefore help you monetize visits from places like Digg and StumbleUpon even when the bounce rate is very very high. The CPM of ad units will decrease as you come the page but that may not be the case with link units – they are small, text based, can fit in even small locations and perform brilliant. 10. These are recommended ad placements for a website depending upon the design (two-column or three-column). If you write long articles, try fitting an ad unit somewhere in the middle of the article or at the bottom because when readers are done with reading, they’ll probably look for more resources or related information. 11. Once your new ad placement is live, make sure you test the adsense layout with help of your grandma or subscribe to a professional mouse tracking service like CrazyEgg to know how people interact / navigate your content. 12. Sometimes traffic flowing in from Image search engines can earn you more AdSense Revenue than regular web traffic. So upload good quality images and use text captions with alt tags to make sure that blog images rank good in Image Search results. 13. Flickr is another great source of traffic (especially from Yahoo!) and you may also use it to indirectly improve your organic rankings. 14. You can also increase relevance of Google Ads on your site by linking to authority websites using descriptive anchor text. This will also help improve your organic ranks since outgoing links and citations carry weight in the eyes of the search engine who may then consider you as an authority for that niche. 15. Look for variations in Google Analytics – AdSense reports. If you are seeing impressions for a page but no CTR or CPM, chances are that the page may be serving PSAs or the ads aren’t relevant enough. You may also use the AdSense Sandbox to figure out if visitors from other countries are unable to see ads on some page that have low (or zero) CPM. 16. Placement targeting is an excellent opportunity for you to market your site to potential AdWords advertisers. Therefore always make it a practice to use descriptive text when describing your AdSense channels. 17. Archives, Tags, Category or Author pages in a blog aren’t good landing pages and are hard to monetize as well. Redirect their Google juice to single post page using NOINDEX, FOLLOW tags. 18. Reward your regular visitors (I call them influences) with ad-free content. AdSense in feeds is not a loved option either so you may have use the feed footer to find spammer & feed scrappers. 19. If you run a multi-author blog, you can very easily implement Adsense Revenue Sharing through channels. Assign a separate channel to each other and use that number for his or her blog posts. 20. AdSense Premium sites like CNN, New York Times, About.com, etc. 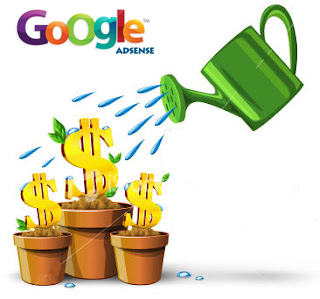 generally have dedicated AdSense account managers to help them optimize their Google ad units. You can study their layouts and probably implement some of the techniques in your own blog(s). With Google AdSense, one should never feel complacent because there’s always a chance to improve earnings provided you are willing to experiment. The software theory – “If it ain’t broke, don’t fix it” does not really apply here. Do Share.